It has been over two decades that Audi is offering its buyer’s one or the other new thing through the Avant. Coming for this year company has recently unveiled its all new Audi A4 Avant 2016. Model offers you lots of space in its luggage compartment and doesn’t compromise with performance figures and comfort. 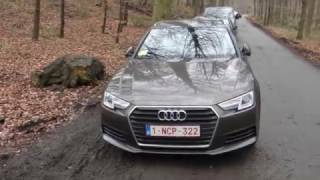 Let us have a look at the review of Audi A4 Avant 2016 to know more about it. Talking about the interior of Audi A4 Avant 2016 I would prefer compiling the details in three words, comfortable, spacious and innovative. Let us begin with the dashboard which looks extremely elegant and neat, it connects with the door trim border gives the interior a wrap-around style without compromising with spacious touch. Model is equipped with a MMI display which is just 0.5 inches thick and hosts a series of functions that add to your comfort and entertainment zone. The virtual cockpit which has a 12.3 inch LCD monitor makes your entertainment experience beyond comparison. Seats come with electric adjustment and are anatomically shaped to provide utmost comfort. Passengers in center get some extra storage compartment in their seat arm-rests. Apart from these there’s a good queue of features like, parking assistance system, rear cross traffic assist, city assistance system, traffic-sign recognition system etc makes it worth a buy. Round up the enlightened-through-ambient lighting interior of Audi A4 Avant 2016 is indeed a choice you won’t regret for. The exterior of Audi A4 Avant 2016 looks extremely elegant, classy and sportive with its body. Starting with the front fascia the trapezoidal grille sits proudly amidst the elongated headlights. Grille carries the traditional Audi touch, with the Audi emblem marking presence over it, above the number plate. The body colored bumper has wide fog lamps alongside the slim lip spoiler. Moving towards the rear end you’ll notice massive taillight with integrated turning light marching and making its way till the trunk lid. Beneath the setup you’ll have dual-exhaust tip integrated in the slim bumper. In all the exterior of Audi A4 Avant 2016 as we mentioned earlier has designing feature that compliment its interior and powertrain options. 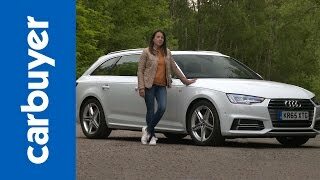 This is where things get pretty exciting; beneath the hood of Audi A4 Avant 2016 Audi A4 Avant 2016 you get seven powertrain options ranging from 150 hp to 272 hp. Let us begin with the TFSI engines; queue includes a 1.4 liter and three 2.0 liter engines cranking total output of 150 hp, 170 hp, 190 hp and 252 hp and peak torque of 250 nm, 270 nm, 320 nm and 370 nm respectively. 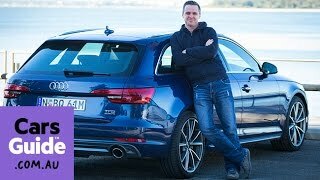 The engines mentioned above are capable of taking the top speed of Audi A4 Avant 2016 to 130 mph, NA, 149 mph and 155 mph while the 0-62 mph sprint can be knocked in 8.9 sec, NA, 7.3 sec and 5.8 seconds respectively.